The city of Las Vegas is making a strong push to get a professional hockey team, and poker star Daniel Negreanu is helping lead the charge. The Canadian poker player and Las Vegas resident tweeted to his 340,000 followers about a meeting with a potential Las Vegas-based ownership group, led by businessman William Foley and members of the Maloof family, on January 17, 2015. This followed an announcement on his Full Contact Poker blog on Jan.16, where he provided recommendations to the NHL along with his support of bringing hockey to Sin City. "I'm personally quite excited about the prospects of an NHL team in Las Vegas and I believe strongly that not only will we get a team, but that hockey will work in this sports starved city. As mentioned previously, the NHL needs to add two teams to the Western Conference and it appears to me that Las Vegas and Seattle are both viable options and front-runners for a team. For many, they wonder how it makes sense to play ice hockey in the desert, but I'm sure the same was said years ago when expansion hit sunny California and that experiment has worked quite well with thriving franchises in LA, Anaheim, and San Jose." According to ESPN, the NHL sanctioned a trial ticket run in early December by the potential ownership suggesting they need to get 10,000 season ticket deposits when the ticket drive begins in February. The deposits range from $150 to $900 and the potential ownership group is believed to be targeting 12,000 deposits, or 20 percent greater than what the NHL suggested. Kid Poker isn't waiting until February and is doing his best to get the word out about the ticket drive along with helping anyone that is interested in supporting bringing a NHL team to Las Vegas. 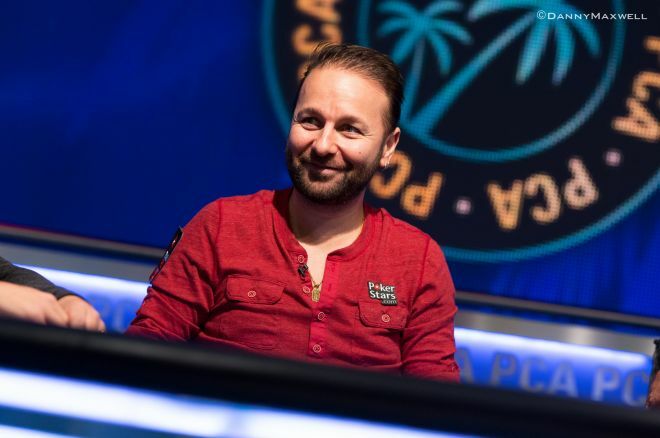 Negreanu outlined on Full Contact Poker three strong reasons why a NHL team will thrive in Las Vegas. He believes the city's 2.2 million residents, the plethora of casino high rollers, and the millions of tourists that visit the city will bring success to a Las Vegas-based NHL franchise. Negreanu also addresses the criticism other sports leagues have given for reasons why a sports team will not work in Las Vegas. He believes that anyone worried about corruption with the many casinos in the city is blown out of proportion and isn't a concern due to how regulated the casino industry is in the city. He also believes that any scheduling difficulties for residents in the city that never sleeps can be worked out by avoiding scheduling home games when many of the potential fans may be working. Despite Negreanu's support, there are plenty of hurdles for an NHL franchise to land in Las Vegas. However, if the ticket drive is successful, it may be hard for current NHL owners to turn away from a potential $450 million franchise fee that would go straight into their pockets. Five Thoughts: Main Event Focus, Outspending Adelson, and Should WSOP.com Sign Merson?